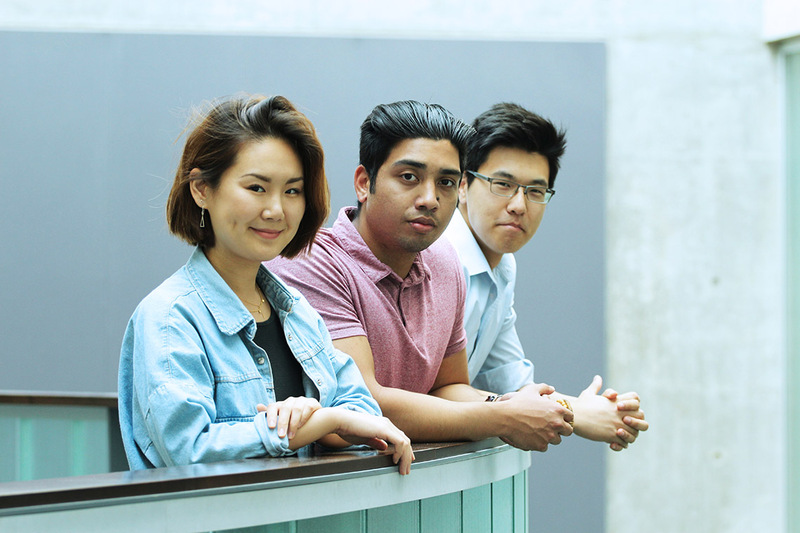 A multidisciplinary team of students from the University of Toronto and a student from the University of Waterloo have been awarded $10,000 from Royal Bank of Canada’s (RBC) Amplify program for designing the “most disruptive” technology to monitor email money transfers. A patent for their disruptive technology is pending and the four students have accepted roles at RBC when they graduate this spring. The U of T Faculty of Information’s Sori Lee, the Faculty of Arts & Science's Keros Rodrigues, the Faculty of Applied Science & Engineering's David Wang and Waterloo’s Keira Chadwick were matched together as one of 18 teams taking part in RBC’s intensive summer innovation program. “There are four different roles that participants in Amplify can have: developer, data scientist, UI/UX designer and business analyst. And, depending on the problem, RBC shapes the groups to fit the problem,” says Rodrigues, a fourth-year U of T computer science student at the University of Victoria College who describes the experience as an immersive, four-month long hackathon, where they got to pitch their ideas to RBC’s top executives. As the team’s developer, Rodrigues says they were given a problem in a high-risk area for RBC: money laundering, fraud, and cybersecurity. Their research showed e-transfers had increased tenfold for RBC since they were first introduced five years ago as clients increasingly migrate to electronic forms of payment. The problem for most banks, he says, is that the systems used to monitor these transactions aren’t moving as quickly as machine learning, a subfield of artificial intelligence (AI). He says they interviewed many anti-money laundering and fraud investigators at RBC, and integrated that knowledge into their machine learning algorithm to help detect financial crime within e-transfers. Another important feature was their dashboard visualization. Rodrigues says most investigations are tracked through spreadsheets, but they were able to create a system that displayed visualizations, such as graphs or tables, to communicate insight at a glance. Lee, a second-year master’s student in user experience design at the iSchool, says her role as a UX designer was to have the end-user in mind. Wang, who studies engineering science and was the team’s data scientist, agrees the Amplify program allowed them to capitalize on their strengths and drive their vision into reality.